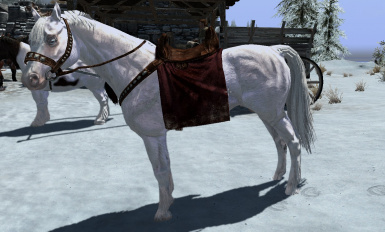 Replaces all vanilla horses with a light breed horse except the ones pulling carts. All meshes and my textures are modder's resource -- just credit me for my work. Thanks to the Blender, Paint.net, Nifscope and GIMP developers for providing free software. Thanks to Hanaisse (Tes Alliance) for the 'Creating Armor in Skyrim' tutorial. 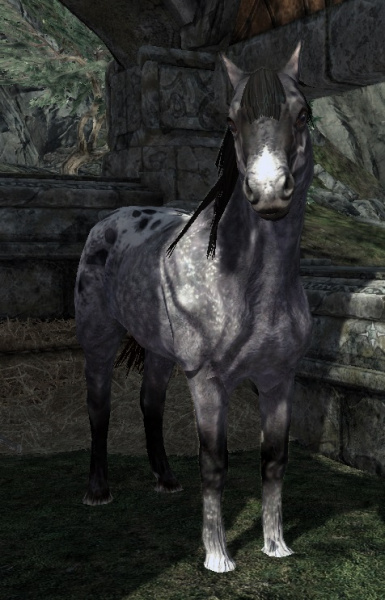 Thanks to Slof for the beautiful horse textures. In loving memory of my horse Flicka. Frost is now a stallion and uses Slof's textures. (If you want a unique mesh for Frost, try var 2 or 3 here: http://skyrim.nexusmods.com/mods/38412/? 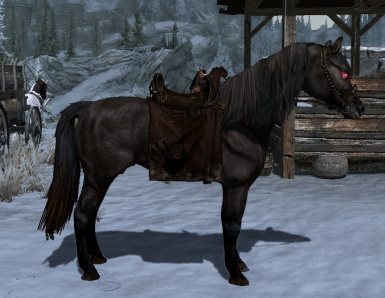 Changed the Windhelm, Markarth and Whiterun horses to use Slof's textures. All horses use Slof's normals file. (see new images). Now compatible with Lesser Hold Stables and More Stables. 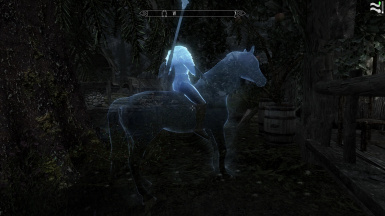 Still compatible with Horses Gone Wild http://skyrim.nexusmods.com/mods/15305/? This also replaces the two load screen horses you'll see -- The load screen still uses vanilla meshes just like before, but I redirected the texture files in the nif so they don't look bad. -- The horse and rider uses the same textures as the cart horse -- Slof's red bay, and the standing pinto uses Slof's Blue roan pinto. All horses (cart horses too) use a modified Skeleton.nif. The horse is a re-sculpture of the vanilla horse mesh and uses a modified saddle and skeleton.nif file. The horses are 1.5 as fast as the regular horse.Except for Frost they are not marked essential. 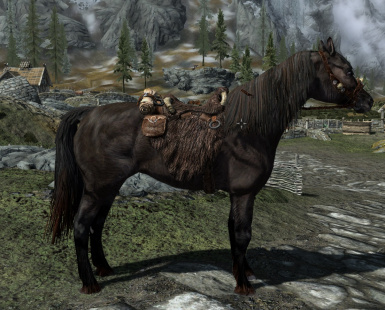 I've included both the Nordic saddle (default) and the Imperial Saddle in the files. 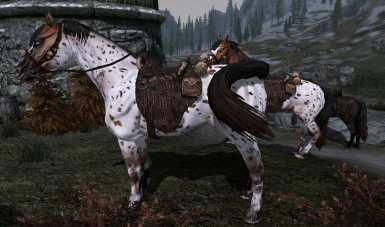 Both saddles use vanilla textures. 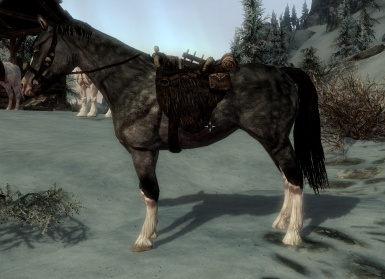 Not compatible with any horse armors or custom saddle meshes. Riding can look odd when viewed from the side. The skeleton doesn't fit the mesh as well as it could, so I'm hoping moving the bones will help. You may use my files as you wish but you must credit me for my work.